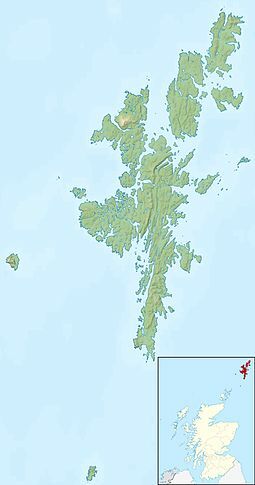 Balta (Auld Norse: "Baltey") is an uninhabitit island in Shetland, Scotland. ↑ Aurie an population ranks: thare are c. 300 islands ower 20 ha in extent an 93 permanently inhabitit islands war leetit in the 2011 census. ↑ Get-a-map (Map). 1:25,000. Leisure. Ordnance Survey. Retrieved 21 August 2013. ↑ 5.0 5.1 Anderson, Joseph (ed.) (1873) The Orkneyinga Saga. Translated by Jón A. Hjaltalin & Gilbert Goudie. Edinburgh. Edmonston and Douglas. The Internet Archive. Retrieved 26 August 2013.